Congratulations to our October newsletter winner Gráinne Mason from Wicklow, who has won herself €100 gift certificate to spend online at James Whelan Butchers and a copy of ‘An Irish Butcher Shop’ by Pat Whelan. Congratulations to Sean Kildunne, winner of our foodfight.ie competition. Sean answered our question correctly by choosing ‘Corn Flour’ as a thickening agent. He will also receive a €100 gift certificate to spend online at James Whelan Butchers and a copy of ‘An Irish Butcher Shop’ by Pat Whelan. 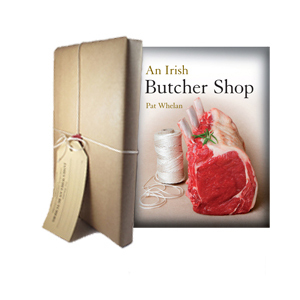 Subscribe to our newsletter to be in with a chance of winning a vintage wrapped copy of Pat Whelan’s book ‘An Irish Butcher Shop’ next month. 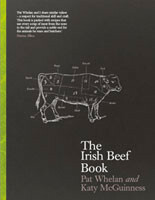 This recipe book is the perfect gift for Christmas and is available at Collins Press.